The math e magic show! S.T.E.M. school assembly. A brand new program to amaze, amuse, inform and enthuse your students. Announcing Professor Whizzpop's Math-E-Magic Show! 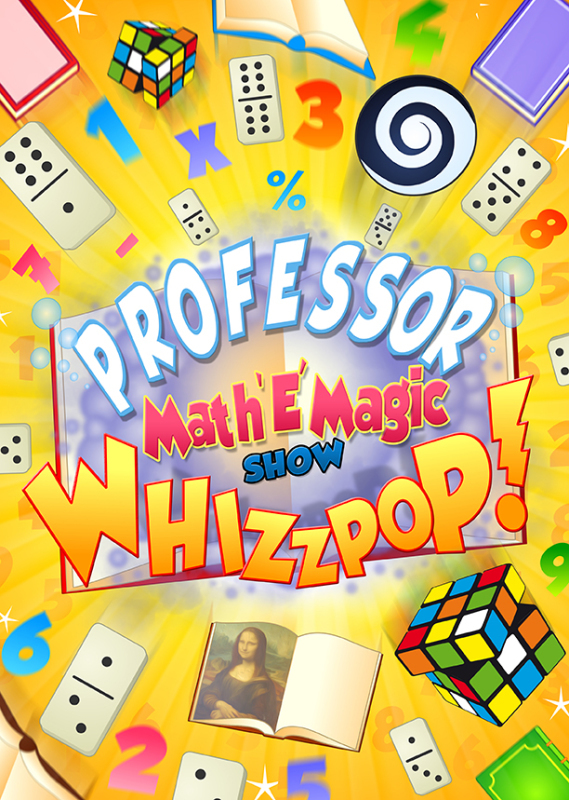 Multiply your students enthusiasm for math with Professor Whizzpop's latest addition; the Math-e-Magic Show! A show designed to help turn your students into mathematical wizards. During the show we'll discuss secret sequences, make music with units of measurement, learn the magic of fractions and solve mathematical problems in world record times! Your students will learn all about perimeter, volume, proportion and symmetry in a fun filled math magic show that will have them laughing and learning in equal measure!